1. Union of Armenian Associations in Sweden, with the acronym ARS. 1. The primary region of the Union’s activities is Sweden, with its seat in a city decided by the incumbent Board. 1. The union consists of Armenian associations/organisations in Sweden and is politically and religiously independent and is open to all Armenian organisations, as long as their charter is not in direct conflict with that of the Union and there is no conflict of interest. 1. To represent Armenians and Armenian member associations in Sweden. 2. To coordinate, support and present member organisations work. 3. Preserving, developing and presenting the national, linguistic and cultural identity in the context of a multicultural Swedish society. 4. To promote unity and cooperation among Armenians and Armenian Associations in Sweden. 5. To inform Armenians about the Swedish society. 6. Helping the Armenians in Sweden in general and the Armenian refugees in particular in their social issues and inform them of their rights and obligations in the Swedish society. 7. To work for Armenians and their integration and adaptation into Swedish society through information, meetings, and seminars. 8. Actively working against the misuse of alcohol and drugs among Armenian youth and inform them of the consequences of drug use, for example by meetings, films, oral and written information. 9. To engage its members in the peace and anti-racist movements and promote preventive measures against discrimination. 10. To arrange seminars, conferences, workshops, lectures and exhibitions about the Armenian genocide and monitor issues related to the Armenian question. 11. To cooperate with other Swedish and foreign organisations and Swedish authorities for the realization of the Union's objectives. 12. 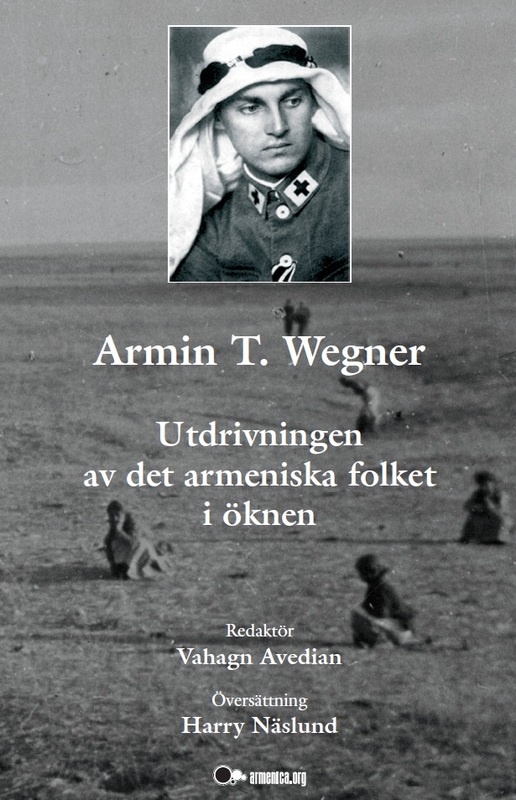 To inform Swedes and Swedish authorities about Armenians, Armenian culture, language, history and religion. 13. To inform member associations and Swedish authorities on the situation and developments in Armenia, the Caucasus, history of Armenia and the Armenian Diaspora. 14. 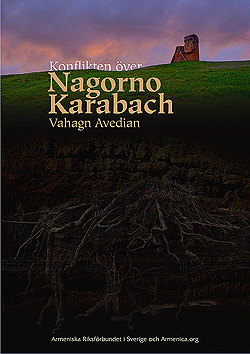 The dissemination of Armenian culture and Armenian language among Armenians in Sweden. 15. Creating opportunities for development of the Armenian children in Sweden and encourage young people to higher education. 16. To arrange excursions and summer camps for the members. 17. To arrange Armenian concerts and gatherings for both Armenians and armenophiles. 18. To work for the Armenian children receiving Armenian teaching in their communities, local associations as well as in the Cultural Center Hay Doun. 19. To promote the development and the growth of the local associations in the country’s municipalities and be instrumental in starting new ones where ever needed. 20. To establish good cultural ties with Armenians throughout the world, especially in Armenia. 21. To strive for a good working relationship with the Armenian churches and their parish councils. 22. To publish the magazine Nor Horizon, which is a monthly, cultural, news and information magazine. 1. To establish contacts with Swedish authorities. 2. To publish newsletters and work for being heard through the media, as well as organizing conferences, courses, cultural events etc. 3. To cooperate with member associations and initiate different projects. 4. To engage in Armenian children's educational issues in Armenian. 5. Publishing a magazine in both Armenian and Swedish once a month. 6. The Board and the member associations shall mutually cooperate with each other for the realization of the Union's objectives. 7. To cooperate with other ethnic organisations in Sweden to advance common issues. 8. To cooperate with Armenian organisations in Europe. 1. Every Armenian association/organisation, which has been operating at least one year in any municipality, has at least 15 members, has its set of rules and programs, which accepts the Union's constitution and program and pays its membership fee could become a member of the Union. 2. Decision on application to the Union shall be taken by the local association’s Annual Meeting. 3. Every association which wishes to join the Union, must apply in writing and complement its application with the following documents: Decision on applying for membership in the Union, its statutes and programs and a list of its members and board. 4. After receiving the application, the Union´s board shall make a decision within two months after the filing of the application. The Board decides either to grant or reject the application. Each applicant association is entitled to be present at the Union's Annual Meeting in order to challenge the negative decision by the Board. 5. Union’s Annual Meeting decides on the applicant association's complaints about the membership. No association has the right to question the decisions made by the Annual Meeting. 6. Member associations should follow the decisions of the Union. 7. Member associations are free in their internal activities as long as their activities in the Union do not conflict with the Union's constitution and decisions. 8. Member associations are to benefit from the Union's facilities on equal terms. The Board has full decision making authority. 9. Member associations shall have paid their fees at the latest two months prior to the Union's Annual Meeting. A delay of payment is accepted by the Board if the reasons are acceptable and the membership fee is paid before the Annual Meeting. Otherwise the association in question loses its voting rights in the Annual Meeting. The association will retain its membership until the reasons for this is clarified. However, the association loses its membership if it still, three months after the Annual Meeting, has not paid its membership fee. 10. If the number of members of an association is below 15, it may not be represented by deputies in the Union's Annual Meeting. It may instead send an observer to the Annual Meeting. 11. Individuals can become a member of the Union, provided that there is no member association in the municipality where the person lives. 12. Individual members are entitled to participate in all activities undertaken by the Union without voting rights. 13. Individual members may not be elected to the Union Board. 1. Motivation for nomination as honorary member of the UAAS is as follows: An honorary member is a person who has highly promoted UAAS interests and aspirations. 2. The Board and/or the Annual Meeting have the right to nominate a person as an honorary member acclaim while the final decision rests with the Annual Meeting. 3. Honorary members have the same rights as individual members. 1. Member associations pay annual fees to the Union based on the number of their members. 2. The membership fee is paid to the Union no later than two months prior to the Annual Meeting of the Union. 3. The amount of the Union membership fee and size are determined by the Annual Meeting. 1. If the number of members of an association falls below 15 for two consecutive Annual Meetings, the association loses its membership in the Union. The association also loses its seat on the Board until it gathers at least 15 members. The Board should report this to the Union’s Annual Meeting. 2. Any member association or individual member has the right to leave the Union at will. 3. A member association wishing to leave the Union must apply for withdrawal, attaching an extract of the minutes stating that the decision of withdrawal has been made by the association's Annual Meeting. 4. The decision shall be in accordance with the association statutes. 5. A member Association or a member who fails to pay the Union membership fee loses its membership. 6. A member association or individual member who opposes the Union’s statutes and objectives or acts in clear detriment to the Union’s objectives is excluded by the Annual Meeting. 7. An individual member who deliberately acts in clear detriment to the objectives of the Union can also be excluded by the Board after three warnings. 8. An expelled association or individual member has the right to appeal to the forthcoming Annual Meeting of the Union. The appeal must be in writing. 1. The Annual Meeting is the Union’s highest governing body and takes place once a year during the period of 15 February to March 31. 2. In order for the Annual Meeting to be inaugural, more than half, i.e. 51 per cent of the delegates must be present. If this quota is not met, the Annual Meeting should be postponed for two weeks. If the above ratio is not achieved despite the postponing the Annual Meeting should be held regardless of the number of delegates present. 3. The Board will announce the date and venue for the Annual Meeting at least one month in advance. 4. The Union annual activities’ and financial report shall be sent to all member associations at least one month prior to the Union's Annual Meeting. 5. Received proposals, the Board's proposals and proposals for statute amendments are sent to member associations/individuals together with the notice of the Annual Meeting. 6. The members of the Board of the Union may participate in the Union’s Annual Meeting as a representative of their local associations upon the latters’ wish, but they may not participate in the voting regarding their freedom from liability. 7. The number of delegates for each member association is established in accordance with the presented number of members in the association. Each Association having up to 15 members will be represented by two representatives. In addition to these 15, which is the cardinal amount, each association is entitled to 1 additional representative for every even twenty members. By association members it is meant the paying members over the age of 7 years. A person who is a member of more than one member association must select the main association in order to settle the numbers of the delegates as well as their right to represent the chosen association at the Annual Meeting. 8. The number of participating delegates per association at the Annual Meeting shall in no way exceed more than 50 per cent of the total delegates. 9. The delegates who have been commissioned by the Union’s Annual Meeting to work in any of the Union bodies should continue with their duties until the next Annual Meeting. The assignments of the delegate should continue even if the association he/she represents terminates his/her mission in the Union or is excluded from the Union. The assignments of the delegate may be terminated at his/her request. 10. The Union’s Annual Meeting elects members to the Board of the Union and other Union bodies only among the association delegates. 11. The Union’s Annual Meeting makes decisions on the basis of the principle of simple majority. Article 23 (Dissolution of the Union) is the exception to this rule. named at the first Board meeting following the Annual Meeting. 13. Proposals/motions from the member associations to the Annual Meeting should be sent at least six weeks before the meeting gathering. 14. If the Annual Meeting is not completed within the suggested time, an additional or continued meeting shall be held within four weeks after the call for such a meeting. 1. Extraordinary Annual Meeting shall be held by the decision of the Union Board and/or if a simple majority of member associations requests it. 2. The decision on the extra meeting should be communicated to the member associations a month in advance. Member associations may appoint new representatives by election at their own meetings or settle with their old delegates at meeting when the Union decided on additional Annual Meeting. 3. The extraordinary Annual Meeting discusses only the issues that led to the extra Annual Meeting. 4. The extraordinary Annual Meeting works on the same basis as for a regular Annual Meeting. 5. If the Annual Meeting is not completed in the proposed time, an additional or continued meeting shall be held within four weeks after the call. 1. The Board consists of one representative from each member association/organisation. 2. The Board shall, at its first meeting, elect a Chairman, Vice Chairman, Secretary, Treasurer and a Spokesperson. The Board is obliged to execute the decisions of the Annual Meeting and is responsible for the Union’s activities. 3. The Board meets at least once every two months. It is incumbent on the Chairman to convene the Board meeting. If required, the majority of the Board members could request an extraordinary meeting. 4. The Board makes its decisions on the basis of the principle of simple majority. 5. The Board members’ voting power is equivalent to the number of delegates of the association at the last Union Annual Meeting. Decisions are taken by simple majority when at least half of the members are present. In the event of a tie vote the Chairman has the casting vote. 6. The Board shall, if necessary, form working committees with one committee leader responsible for leading the committee activities. 7. If a member does not attend three consecutive Board meetings without notification of acceptable reasons, his/her seat is made vacant. The Boars assesses whether the specified reason is acceptable or not. A member association may submit new representative in writing. 8. In addition to a permanent representative, each member association shall also select and present a deputy. 9. The deputies have the right to attend, participate in the discussions and state proposals at the Board meetings, but not vote. 10. In the absence of a member of the Union Board, the deputy shall be given voting rights. 11. Resignation from the Board is made in writing. After accepted resignation, the deputy becomes a permanent member of the Board. A member Association shall before the next regular Board meeting, in writing present a new permanent representative as well as a deputy. 1. The Chairman represents the Union, both externally as well as internally within the Union's various bodies and serves as the Chair of the Board. 2. The Chairman supervises the working committees and oversees the Union’s activities. 3. The Chairman shall obey the decisions made by the Annual Meeting as well as those by the Board and ensure that these decisions are implemented. 4. The Chairman, together with the Treasurer, is the authorized signatory of the Union. 1. The Vice Chairman shall assist the Chairman in his/her work. 2. In the absence of the Chairman, the Vice Chairman is invested with the responsibilities and the powers of the Chairman. 1. The Secretary is responsible for the compilation of Union documents, the minutes from the Board meetings and for the Union archive. 2. The secretary keeps a list of member associations and their respective members. 1. The Treasurer is responsible for the Union’s accounts and assets, and keeps a list of Union fixtures and books the Union finances. 2. The Treasurer shall also report on the accounts to the Union’s Annual Meeting. 3. The Treasurer shall at each Board meeting report on all financial transactions since the last meeting and any planned ones until the next meeting. 1. The Auditor Committee is appointed by the Annual Meeting and consists of 2 members. The auditors shall, at their first meeting appoint a Chief Auditor. The Chief Auditor calls to committee meetings, maintains and archives protocols and manages the contacts with the Union's other bodies. 2. The auditors shall verify the Union’s accounts and provide reports at the Annual Meeting. 3. The auditors review the Union’s activities, the Board's work, check the finances and vouchers. 4. The auditors check all records of Union Board meetings as well as the Annual Meeting, to ensure that they are aligned with the statute and that all decisions have been executed. 5. The auditors shall deliver a report with a recommendation on the issue of the sitting Board’s freedom from liability for the past year. This means that the auditors propose to the Annual Meeting of approval or disproval of the sitting Board’s manner in which it has kept the books and conducting activities during the past fiscal year. 6. After the auditing, the auditors shall recommend whether the Annual Meeting should discharge the incumbent Board from liability or not. 1. Changes in the Union's statute can only be made at the Union’s Annual Meeting. 2. Changes in the Union’s statute are to be adopted by a simple majority of those present at a valid Annual Meeting. 3. Amendments to § 23 (Dissolution of the Union) can only be made by a resolution at two consecutive Annual Meetings which are at least three months apart. 1. The capital of the Union shall be preserved in a post or bank account. The Union Board are collectively responsible for the account. The Board Chairman and the Treasurer shall be signatories of the account. Those two can without a prior decision from the Board, individually decide on expenditures up to a sum determined by the Board. For larger amounts, as determined by the Board, two signatories are required, thus two signatures such transactions. 2.Incomes from the Union activities. 3.Grants from the government and local authorities. 1. The Board appoints the editor of the Union's journal. Members of the editorial board appoint other positions for the journal at their first meeting. 2. The Editor, who represents the Union's journal, will convene a meeting at least once every two weeks and lead editorial meetings. 3. The Editorial Secretary shall keep minutes of meetings and manage the editorial correspondence and be responsible for the journal’s archive. 4. The Editorial Treasurer shall keep records of the journal’s accounts. 1. Decision on the dissolution of the Union can only be taken by two consecutive Annual Meetings or Extraordinary Meetings of the Union which are at least three months apart in order to take effect. 2. Such a decision requires the consent of the three-quarters of those present delegates. 3. When decided for dissolution, the Union assets shall be transferred to an association/organisation with the objectives identical to those of the Union’s. 4. The Annual Meeting decides which association/organisation shall take over the Union's assets.